I was lucky and had lovely sunny weather in Kyoto. I took advantage of it to go see Adashino Nembutsu-ji. 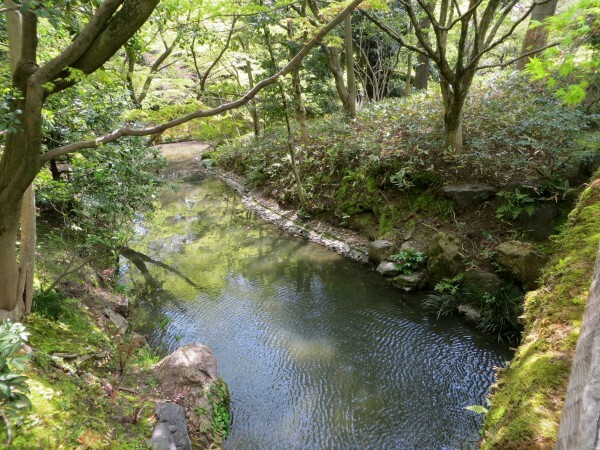 It is in an area north of Arashiyama, in the northwest part of Kyoto. 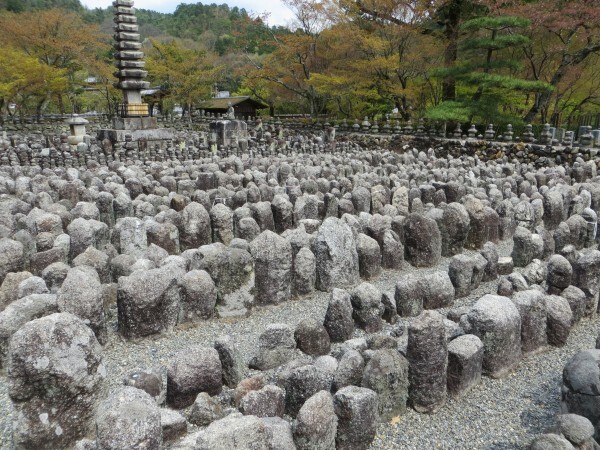 The curious fact about Nembutsu-ji is that it is an area where the destitute used to leave their dead exposed to the elements. 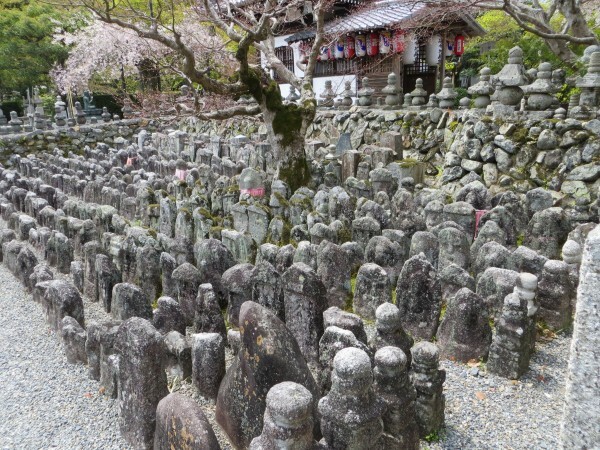 Those were honored over time by some 8,000 small crude Buddha statues which were scattered around the area. They were collected around 1903 and placed here. 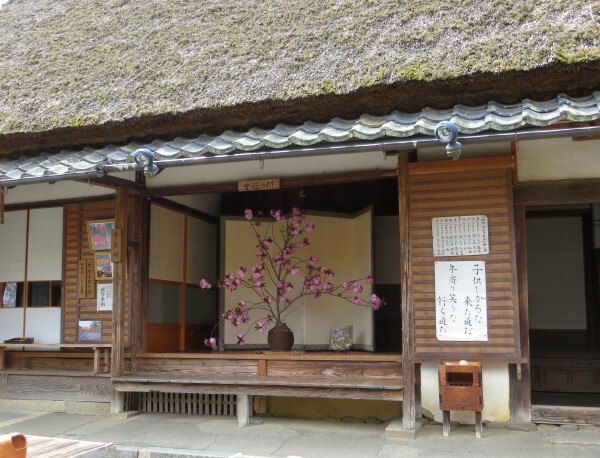 The shrine was built in 1712 and has a nice thatch roof. The old shrine, which contains a medieval Buddha statue of the Kamakura era. 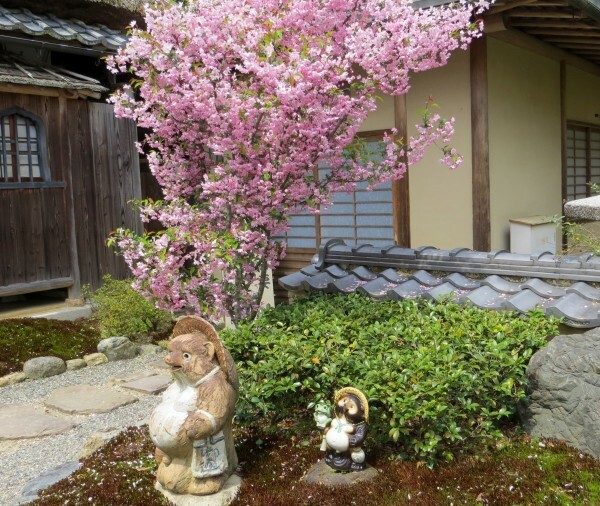 A couple of curious tanuki statues with pilgrim hats. 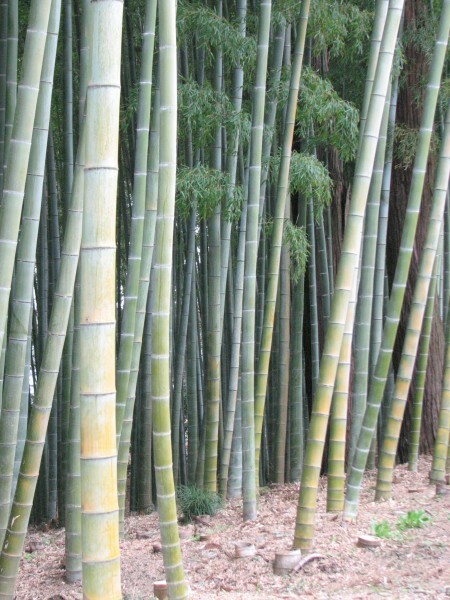 A glimpse of the bamboo forest one can go see on the way back to the station. 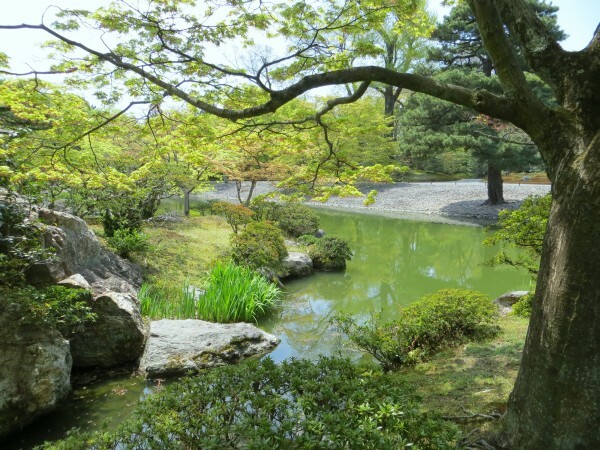 A completely different sight in Kyoto was the large garden at the Sento Palace. The Palace, for retired Emperors, burned down in 1854 and was not rebuilt. But its 17th century gardens remain. 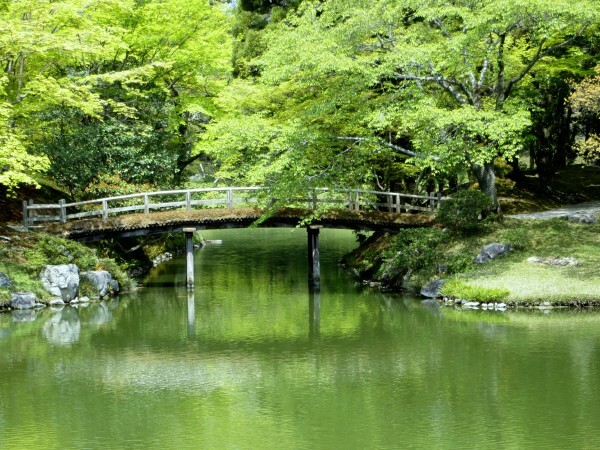 The best time to visit them is probably November, to admire the color of its many maples. But it is attractive year round. 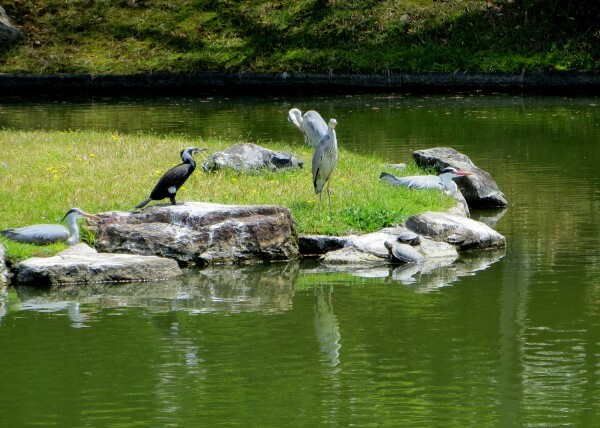 I had not expected to see 4 herons, a cormorant, and 2 turtles! All peacefully sunning themselves. I will show some pictures of Kennin-ji in my next post. I just discovered this small temple, thanks to Aya-san, and I think it is one of my favorites. I'm sure I'll visit in the future, though.